Meet Your Neighbor Deb Anderson of rural Stronghurst. She is a cosmetologist at Deb's Cut and Style in Gladstone which she has owned and operated for 24 years. 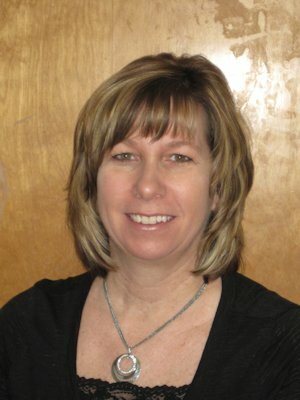 Deb was born in Burlington, Iowa and raised in Gladstone. In 1986 she graduated from Union High School and pursued her career by graduating from Burlington Beauty Academy in Burlington, Iowa in 1987, as a licensed cosmetologist. She and her hubby, Paul, who is a farmer, have been married for 23 years. Her parents are Junior and Evelyn Bielser of Gladstone. Her father is a retired iron worker and her mother enjoys being a housewife and babysitting. Darrel who lives in Gladstone and is employed as a sandblaster. Terry (Brenda) lives in Stronghurst. Terry is employed by the Army Corp of Engineers and Brenda operates the Yellow Rose in Lomax, of which they are the proprietors. Steve (Maggie) lives in Oquawka and is employed by the Army Corp of Engineers and Maggie is an RN at Great River Medical Center in West Burlington, Iowa. Deb and Paul have two children, Tyler, a freshman at Western Illinois University in Macomb and Shaylene a 7th grade student at West Central Middle School. Deb is a member of the Biggsville Presbyterian Church where she has served as a deaconess. Her hobbies include reading, and attending the kids sporting events including softball, basketball and volleyball. When asked what she enjoyed most about being a beautician she replied, "Visiting with people and doing all aspects of my job. I love making people feel special."